Having a Garage Sale? Here's a tip: Don't forget hungry Garage Sale shoppers could add an extra $100 or more to your final sales tally if you cater to them. Don't forget the cookies and lemonade! 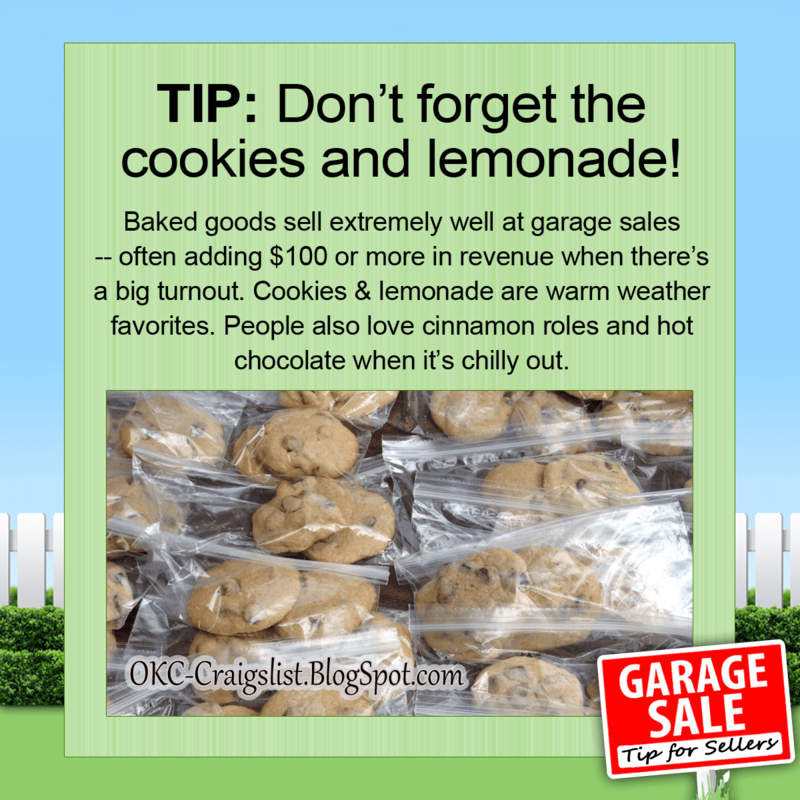 GARAGE SALE TIP: Baked goods sell extremely well at Garage Sales - often adding $100 or more in gross proceeds when there's a big turnout. Cookies and lemonade are warm weather favorites. People also love cinnamon rolls and hot chocolate when it's chilly out. Do beverages and treats really sell well at yard sales? "I am having a yard sale next weekend, and my son (age 15) wants to set up a table to sell pop, bottled water and snacks. He wants to make a bit of money on his own, and I appreciate his initiative, but I really don't know if it would be worth his time. So I thought I would check with you "real" yard/garage salers to get your take on this... what sells best, and how much do you charge for stuff?" "...made around $100 selling canned soda, water and cookies (homemade.) If your yard sale is in cooler months...hot apple cider and coffee would be a good seller along with some individually wrapped biscotti and/or donuts. If you want you can put the donuts in individual bags (ziploc or wax bags) and seal them." "My daughter ...sold water bottles and pepsi products. lol People were very generous, but she was only 5. She made around $100 in 2 afternoons. Seriously! She was only asking $1/ 1 liter bottle. And most people gave her the 'oh, your so cute $5.'" Good luck with your Garage Sale Lemonade Stand! I hope this helps! GARAGE SALE TIPS: Does Your Furniture Measure Up? 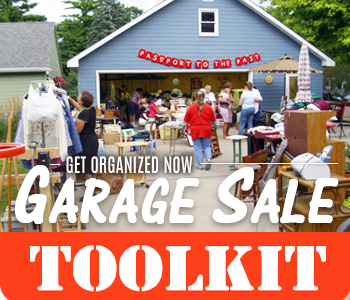 Organizing Guru Marcia Grazia's Get Organized Now Garage Sale Toolkit is the easiest way to Plan, Promote and Profit from your next Garage Sale — Less Hassle and More Profit Or Your Money Back!